^ 1.0 1.1 1.2 BBC新聞, On This Day: 12 September. Hijacked jets destroyed by guerrillas.. BBC News. 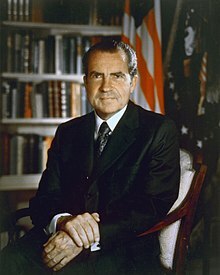 1970-09-12 [2006-05-01]. ^ 3.0 3.1 3.2 Tugend, Tom. The Day a New Terrorism Was Born. 大洛杉磯猶太人報 (洛杉磯: Jewish Publications). 2006-02-24 [2007-11-10]. ISSN 0888-0468. OCLC 13450863. ^ 4.0 4.1 公共电视网報道Hijacked, The American Hijacker. [2006-05-01]. ^ 5.0 5.1 5.2 Public Broadcasting Service, Hijacked website, Flight crews and security.. [2006-05-01]. ^ Baum, Philip. Aviation Security International September, 2000. Leila Khaled: In her own words.. [2006-05-01]. （原始内容存档于2006-03-24）. ^ 7.0 7.1 7.2 7.3 Hijacked Transcript. [2006-05-02]. ^ Hijacked Timeline and map.. [2006-05-01]. ^ Accident description. Aviation Safety Network. Flight Safety Foundation （英语）. ^ Marquard, Bryan. John Ferruggio, at 84; hero of 1970 Pan Am hijacking. 波士頓環球報. 2010-06-22 [2010-06-27]. ^ "Hijackings: 1970 Year in Review, UPI.com"
^ The Skyjacking of 1970. 全国公共广播电台. 2003-09-09 [2010-09-06]. ^ Pathe News film. [2013-05-09]. ^ 公共电视网, 《美國印象》, Hijacked:Journalists and the Hijacking.. [2006-05-01]. ^ Hijacked People and events.. [2006-05-01]. ^ Davis, Douglas. 耶路撒冷邮报, 2001年1月2日. Declassified documents show how UK gave in to terrorists.. [2006-05-01]. （原始内容存档于2006-05-22）. ^ 21.0 21.1 UK Confidential, 1 January 2001 Black September: Tough negotiations.. BBC News. 2001-01-01 [2006-05-02]. ^ Kissinger, Henry. Crisis and Confrontation. [2006-05-02]. [永久失效連結]. Time Magazine, 15 October 1979. ^ The Richard M. Nixon Library & Birthplace, Nixon Papers, 1970. [2006-05-05]. , PDF transcript "Exchange of remarks with released American hostages 互联网档案馆的存檔，存档日期2007-07-03.."
^ The Richard M. Nixon Library & Birthplace, Nixon Papers, 1970. [2006-05-05]. , PDF transcript Exchange of remarks with reporters at Leonardo da Vinci Airport about released American hostages. 互联网档案馆的存檔，存档日期2007-07-03. 28 September 1970. ^ The Richard M. Nixon Library & Birthplace, Nixon Papers, 1970. [2006-05-05]. , PDF transcript "Statement announcing a program to deal with Airplane hijacking 互联网档案馆的存檔，存档日期2007-07-03." 11 September 1970. ^ On This Day, 23 February 1972: Hijackers surrender and free Lufthansa crew. bbc.co.uk. 1972-02-23 [2011-04-11]. It later emerged the hijackers belonged to the PFLP (the Popular Front for the Liberation of Palestine) and had been paid ,00m in ransom. Arey, James A. The Sky Pirates. New York: Charles Scribner's Sons, 1972. Carlton, David. The West's Road to 9/11. Resisting, Appeasing and Encouraging Terrorism since 1970. Palgrave Macmillan. 3 April 2006. ISBN 1-4039-9608-3 Cites the Western capitulation to the Dawson's field hijackings as the rise of modern terrorism. Snow, Peter, and David Phillips. The Arab Hijack War: The True Story of 25 Days in September 1970. New York: Ballantine Books, 1971.